In his Theory of General Relativity, Einstein replaced the Lorentz transformation by the formula of his tutor Minkowski. What happens if we apply the Minkowski formula back into the Theory of Spécial Relativity? What are the differences? This article shows: the Minkowski’s formula doesn’t create the Twin- and Ehrenfest paradox and just relates a travelling clock with synchonized clocks in a wider reference frame. Accurate synchronized clocks in a reference frame wherein time has to be the same everywhere, are key, as San Grasso scientists have learned. This is where the Lorentz transformation fails. 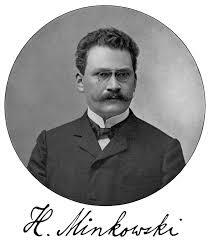 For research on fast muons created by the solar wind to earth and high speed protons at CERN, only Minkowski is valid.